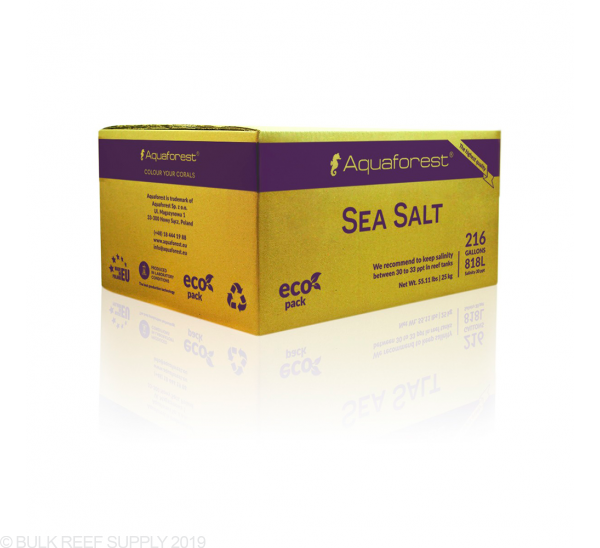 Aquaforest's Sea Salt is a fully synthetic salt that creates a perfect environment for soft corals, invertebrates, and saltwater fish. 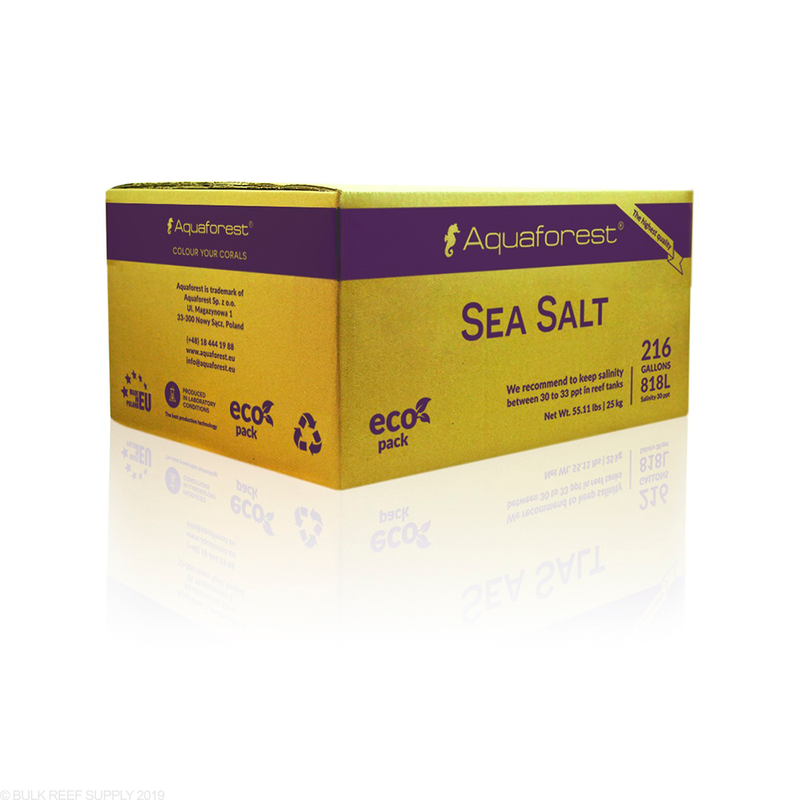 Aquaforest Fully Synthetic marine salt is perfect for saltwater fish tanks, corals, and invertebrates. Sea Salt is regularly used in FOWLR and fish only tanks, along with many soft coral tanks too. 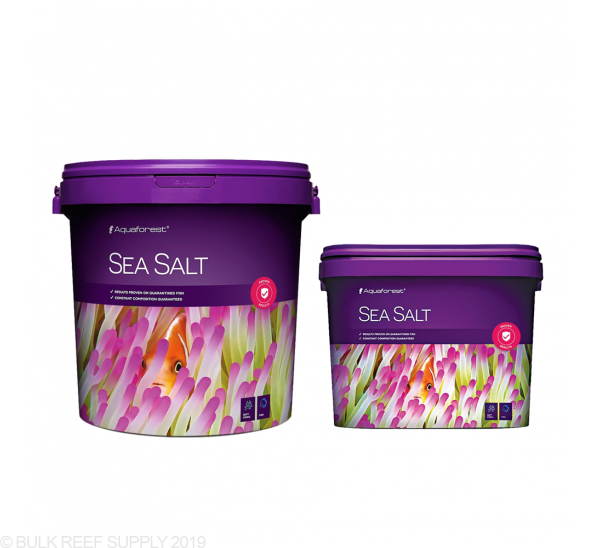 The balance of elements, along with the high-quality components used to manufacture the salt allows it to mix quickly for immediate use. 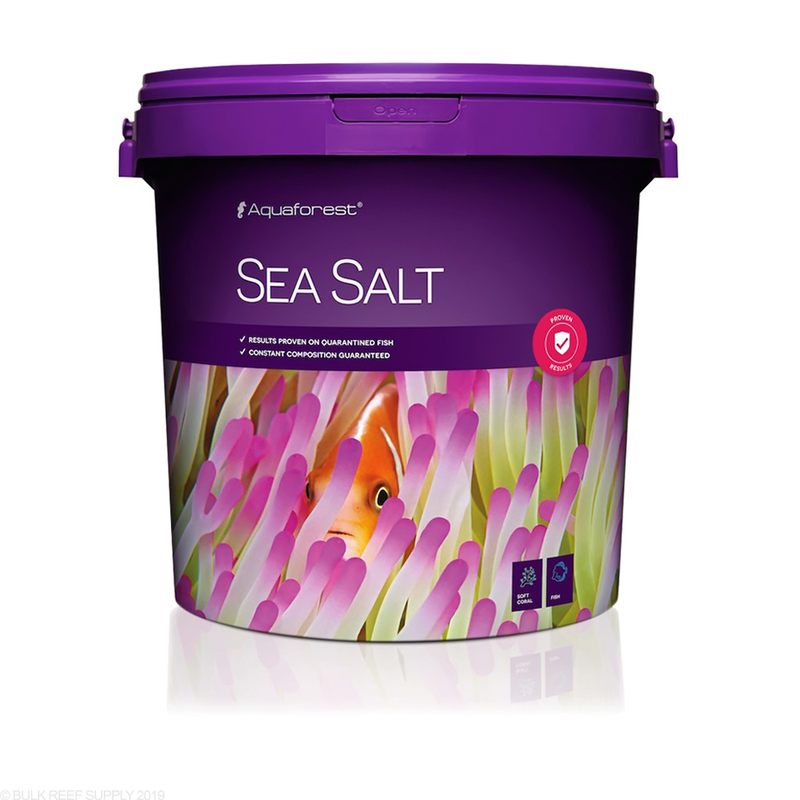 Dissolve salt with RO/DI water in a clean container. 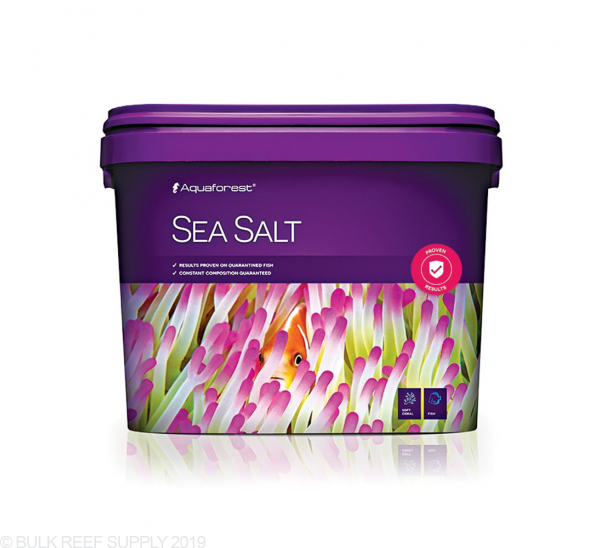 To achieve a salinity of 30 ppt, we suggest starting with 1 kg (2.2lbs) of Probiotic reef salt per 8 gallons (27 liters) of RO/DI water. Stir the mixture vigorously until it is fully dissolved and clear. Once the solution is transparent check the salinity with a refractometer and then it can be used right away. 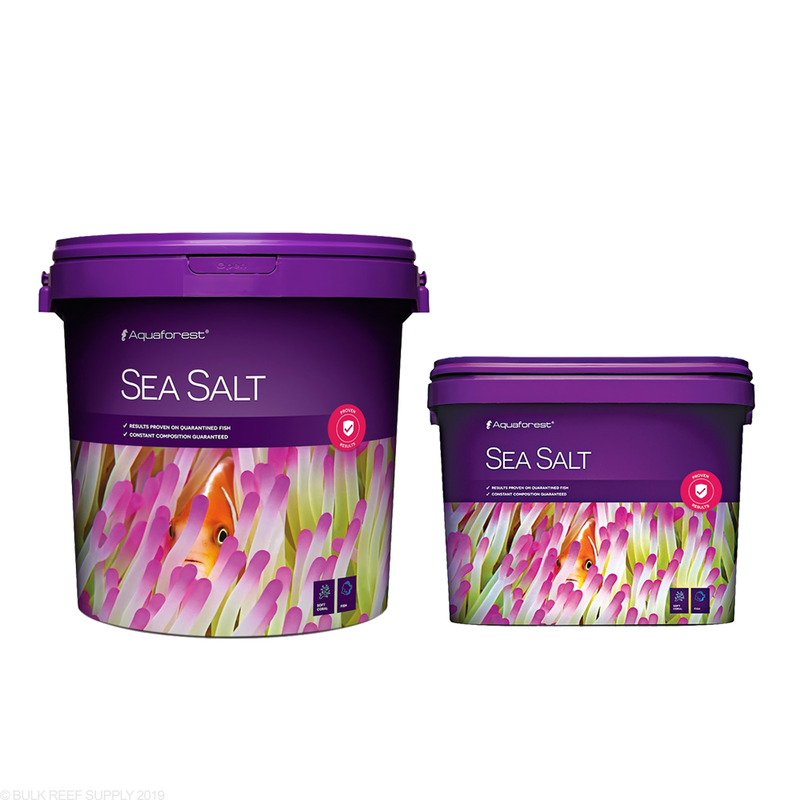 I just switched from Kent Salt Mix which I had been using for years. They changed something in their formula (not to mention packaging) and was making my tank very cloudy upon use during a water change. I thought I would give this a try and I noticed the difference in clarity right away. My water was crystal clear when I replaced what I took out of my tank. Even my fish seemed happier. This is my new go to Salt Mix for now. 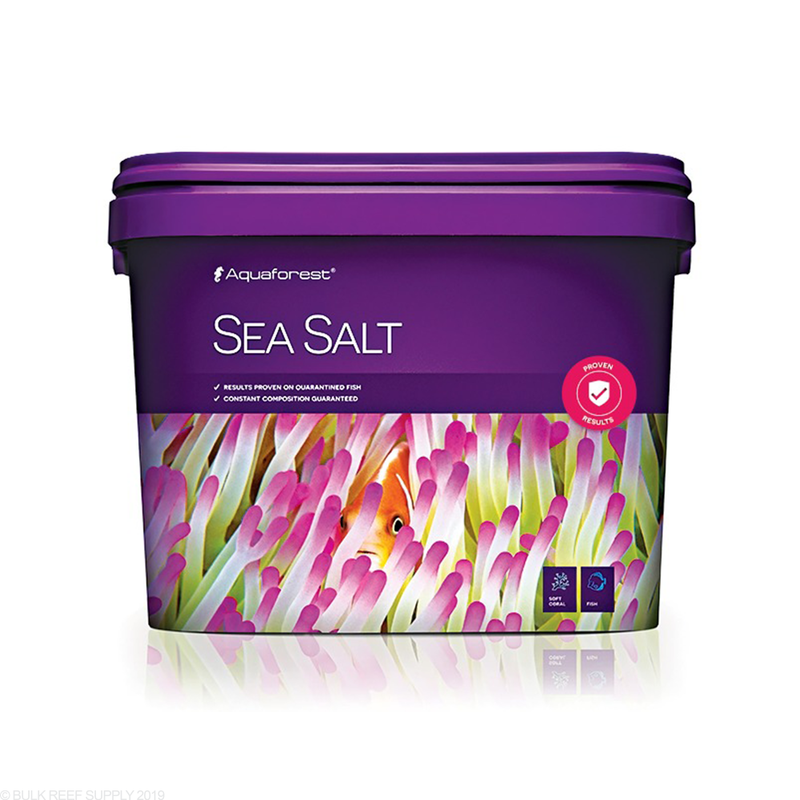 After testing some IO, I was looking for a salt mix that was higher in mag so that I wouldn't have to dose so much with water changes. This seemed like a perfect match from the numbers quoted on the website, but the actual testing showed much lower alk numbers when mixed to 1.026. The calcium and magnesium numbers are about where I want them, but I was really hoping for at least the quoted 8-9 range in alk. All I've done is traded dosing lots of mag for IO to lots of alk for this. FWIW, the potassium levels are supposed to be higher than IO, but I was really hoping for a cheap salt mix that would only require a minor bit of tweaking before a water change.